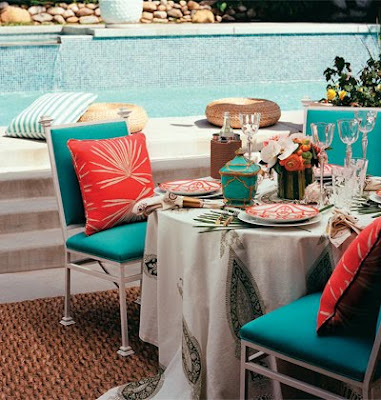 Grounded by neutral colors and natural fibers, bold coral and turquoise are allowed to shine. "Dinnerware is like jewelry," says designer Jaime Rummerfield of Woodson and Rummerfield's House of Design. "Summer is the time to go big with striking patterns." 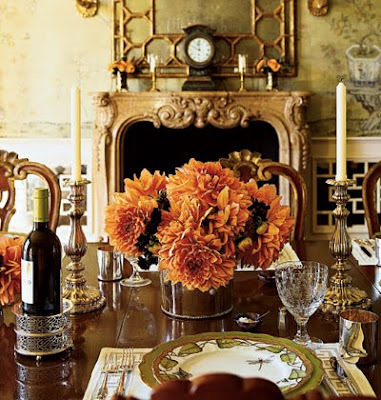 "It's great to have a signature style as a hostess, but I always add a surprise or twist. In this case, I added a punch of color. Yellow is a popular color to mix with blue, and it adds warmth." Natural fibers and textures -- from the wicker chairs to the woven placemats -- lend a cozy feel to this cottage dining area. The iron lantern overhead is a rustic substitute for the standard chandelier. 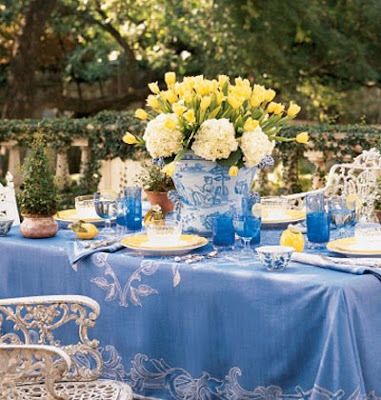 Just because a get-together is laidback doesn't mean it can't be beautiful. Seasonal herbs and flowers, quaint table linens, and soft candlelight set the scene for an intimate gathering. 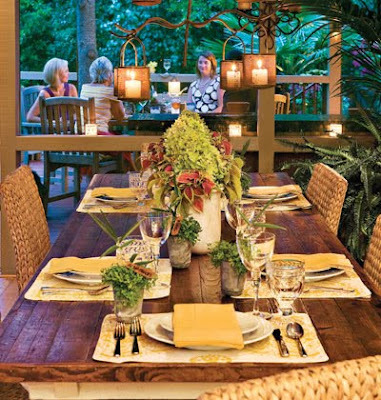 Make a large dining room feel more intimate with a warm and inviting tablescape. Rich colors mixed with sterling silver pieces give the setting an aged patina. 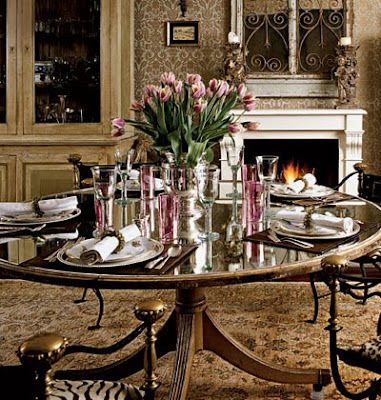 This elegant mirrored table sets off the pinks, greens, and golds of the setting. New glassware and placemats are mixed with traditional china and silver for a glamorous vintage feel.